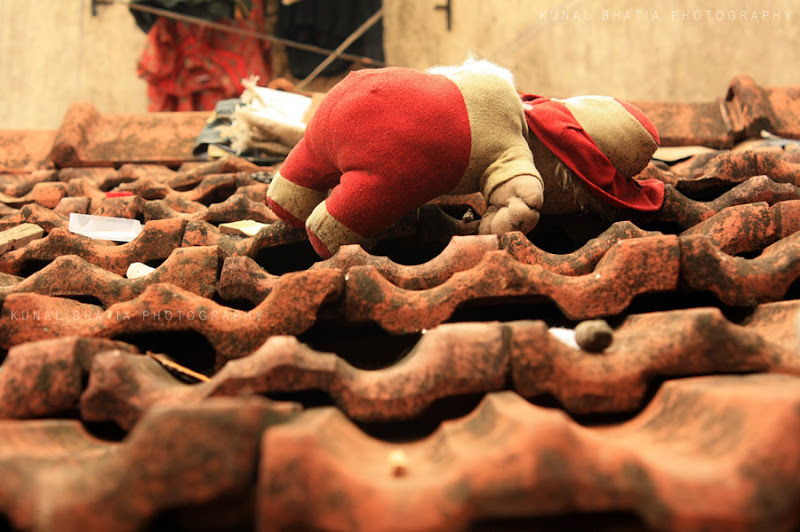 a doll lying on the roof of a house in versova village. I suggest "sleeping on the roof"
Thanks for visiting my new blog but I was testing it and your comment dissapear. Now, it is okay. "Up on the roof" from the song by Carole King? Perhaps too long for a title.